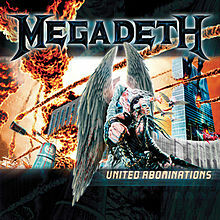 Subject - the making of the cover of the Megadeth album titled United Abominations, released in 2007 on RoadRunner Records. As it is true in most of the careers of "creative types" - the folks that rely on whatever it is inside them that makes them want to devote themselves to making things (art, music, literature, etc.) that somehow stimulate others - sometimes, you just need a break to be discovered and for your career to get some sort of a boost. Not that that break will necessarily lead to fame, riches and the adoration of the masses...sometimes, it just serves to introduce you to a patron or two and helps kick-start your fan base to some degree. From there, it usually just takes a tireless work ethic, marketing savvy and gobs of luck before you can have a life-long career doing what you're passionate about. Megadeth's Dave Mustaine has long shown a flair for invention, both in his music and how his musical efforts are promoted visually. In a song ("Skull Beneath The Skin") from their first record release in 1985, Mustaine describes a character - a macabre manifestation of "See/Hear/Speak No Evil" - who he then realized in an initial sketch he did (and then worked with a series of artists over the years to recreate to fit applications including album cover art, merchandise, music video/stage props, etc.). And, like other examples of iconic rock images done before and since, each artist's interpretation of Mr. Rattlehead would reflect - some more successfully than others (according to fans/critics) - the status of both the band's music, internal politics and the state of the world in which Vic "lived". In some cases, it seems clear that even a guy with all of his facial orifices sealed shut just can't get a break. In the wake of a previous job, my wife and I were both looking for new work when she read that DeviantArt was sponsoring a contest - it's biggest ever, I think - to redesign Megadeth's mascot, Vic Rattlehead. The task was to take Vic Rattlehead to a time shortly after he had those terrible atrocities happen to him, using the song "Skull Beneath The Skin" as a guide ("Prepare the patients scalp, To peel away, Metal caps his ears, He'll hear not what we say, Solid steel visor, Riveted across his eyes, Iron staples close his jaws. So no one hears his cries..."). I don't recall that there was any mention that any of this art could be used for the next album, but there was certainly that kind of potential. I thought about what I might do and then submitted three designs thinking that, if I was to win this thing, I might get a pretty nice guitar for one of my kids. Three months later, I learned that, out of over 3000 submissions reviewed by Dave Mustaine himself, I had two out of the three pieces I submitted in the final 11(?!). This in itself was pretty exciting compared to the corporate art I was doing at the time to pay the bills. I hadn't really had my art looked at by so many at one time.. not this kind of stuff - my stuff - unedited by someone else. The initial image that I guess really grabbed Dave was my second contest entry that showed an angel with one hand on Vic Rattlehead's shoulder (and I have to give full credit to my wife, who suggested that I add the angel). Anyway, by the end of the contest, I had lost twice (Editor's Note - the winner was Polish artist Michal Loranc, who received a LTD AXXION, a Dave Mustaine Signature Serious electric guitar from ESP), but it was fun while it lasted and, as it turned out, I had competed with some pretty well-known artists, including an artist who'd done a previous Megadeth album cover (Another Editor's Note - other noted artists who've done Megadeth covers over the years include Ed Repka and Hugh Syme), and . This was all very cool to me, as it represented most of the reasons why I had gotten into this business in the first place. I thought that was the end of it until a month and a half later, when I received a call from Megadeth's management, asking me if I would work with them on the artwork for the cover of their next album. Megadeth in itself has quite a history and has become an institution within their genre. With that stature, the band pretty much dictates its own look - with its own set of rules that you need to stay within to maintain its reputation - so they let me know those rules up front, making sure I was up for the task ahead before letting me talk to Dave Mustaine himself. From that moment forward, Dave became the art director for everything I did that was Megadeth. This being my first job doing a cover for anything, I really didn't have much to go by. Having worked with other labels since gave me the realization that it could have been a better deal. Whatever fee I was going to make on this job was going to be more than I was making at that moment, and the fact that it was for Megadeth certainly had an added value, so we took care of the paperwork and moved ahead. From the start, as a reference, there was a huge body of past work for me to look at and listen to when it seemed like things were starting to veer off course. I did get to listen to some tracks from the new album beforehand (very cool) and was able to reference the lyrics to a lot of the new songs as well. Naturally, you don't want to be doing the art for the band's worst album, so when I actually heard some of the music, I got pretty excited, because it was damn good! I was never physically in any meetings and only teleconferenced a few times with the label so, as far as I knew, it was mostly Dave, his manager and myself working on this. I never really knew what other influences there were at the other end and what impact they might have had on the final outcome. Once, when we were brainstorming, Dave broke into a Bowie tune - Young Americans I think - which was unexpected and very cool. He then described to me how the angel on the cover should be an androgynous character. I think that, under Dave's heavy metal exterior, he has a huge personality that probably would take two maybe three people to contain. With everything that he is, I don't think people realize he's also an art director with a good eye. Originally. the front of the cover was wrapping around to the back of the jewel case. All I had by the time I thought I was done was this one guy standing there looking alone and defeated. Everything thereafter was built around this image. All my work was painted digitally on some pretty dated equipment with some pretty dated software, although it is the same stuff I'm using now! I was only about two sketches in and I think Dave was getting a good idea of what he wanted so, after that, we made what seemed like a million tweaks to the same image. Had I painted it on canvas, I imagine the paint would've been pretty thick. Time is always the enemy when doing something like this. Not because you can't produce fast enough, but because the work you're doing isn't necessarily at the top of the overall project's priority list. Regardless, you're supposed to be ready with the goods when the time comes. Contracts for projects like this usually always say that they can reject your work at any time, for whatever reason so, from day one, with every new version I submit, I'm thinking this isn't gonna' happen, they're going to use something else. We sent this art back and forth for about two and half months, tweaking and refining until it was what he wanted. Fast-forward six months, about a month to go before the release of United Abominations, we were at it again making a few more finishing touches. It's hard to gauge the exact length of time it took to make this cover, what with all the Megadeth-related projects I had on the side as they ramped up for the coming tour. While I waited for the latest revisions to get the once-over, they kept me busy doing artwork for merchandise until, one day, it all just stopped and everything was finished. They then had me tweak the three pieces I did for the contest and prepped them to be used for some interior fills. I'm now thinking that this is the point of no return and that, if this didn't end up, being the actual cover, I was going to make it the actual cover, even if it was just my own personal copy that I made at Kinko's. No one from the label really talked to me throughout the process until at one point towards the end after someone leaked the cover image when no one was supposed to have seen it yet. All of a sudden, everyone wanted to talk to me. I was the only person that knew it wasn't me so all I'm thinking is that someone wanted me off the project. By the time it was released, everything was on the very front, like a letter-boxed image. I didn't get to assemble the package - I just provided them with the artwork that was filling placeholders and their art director did the rest. Somehow, my final contest entry ended up on the disc unchanged, though I think it was supposed to match what was on the tray. The back of the album has a revised version of that initial image along with the song list. I think that, if the label had been more involved and knew where the front image came from, they wouldn't have put the redundant image on the back. In the end, I only have my own theories as to why they turned to the public to reinvent Vic Rattlehead. As far as I know it was an elaborate plot to get me to do artwork for them :-) I really don't know the answer to this. John Lorenzi is a freelance artist living in Colorado with his wife and two kids. As he puts it - " I don't have a lot of formal training. I've been drawing as long as I can remember. Prior to my freelance work, I did mostly unrelated things, so I didn't really start doing art professionally until about 17 years ago, when I first moved to Colorado. One of the first jobs I had was designing creatures and props for a local studio. I've since written a children's book, a science fiction novella (I'm in the process of illustrating them and looking for a publisher), and pitching a comic book all the while looking for next gig so we can eat and pay the bills. I'm looking forward to doing more covers for whomever let's me." He continues to produce art for Megadeth and has done artwork on four albums (under two labels) including: United Abominations, Warchest (Box Set), Anthology: Set The World Afire and Endgame. He's created art for Gigantour II, stage and tour merchandise for Megadeth and has provided art for merchandise for other bands including Black Sabbath, Pantera and Insane Clown Posse. You can purchase a variety of things featuring his art at http://www.megadeth.com/ or you can visit his Flash development site at: http://www.obliterator.com/. All images featured in this UnCovered story are Copyright 2006 John Lorenzi and David Mustaine - All rights reserved - and are used with their permission. Except as noted, all other text Copyright 2010 - Mike Goldstein & RockPoP Gallery (http://www.rockpopgallery.com/) - All rights reserved. The new record is out on the band's own label, Motorhead Music (under EMI). It's set to arrive in Britain on Dec. 13. No word on an American release date for 'Wörld is Yours' yet. Check the track list below. Ex-Replacements leader Paul Westerberg is issuing a pair of new songs — under the pseudonym Mr. F — on limited-edition, multicolored 7-inch vinyl that comes with a code to download a third, digital-only track. The new 7-inch — featuring “This Machine” and “Foolish Hand Shake,” plus the code to download the “epic” digital track “Grandpaboy’s Last Stand” — is available for $8 plus shipping exclusively through Nimbit Music. There’s a limit of one per customer. Finnish black metallers GLOOMY GRIM recently completed work on a new two-track single containing a cover version of the MERCYFUL FATE classic "Black Funeral" and a new song, "Let My Enemy Suffer As I Do!" Entitled "Grim Fate", the single's cover art was created by Mario E. López M. (IRON MAIDEN, BURNING DARKNESS, HANGMAN). 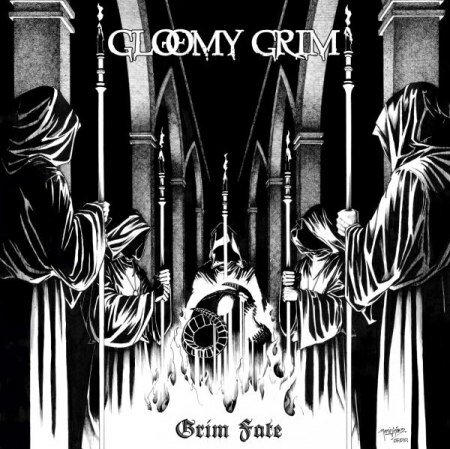 GLOOMY GRIM's latest album, "Under the Spell of the Unlight", was released in May 2008 via Anticulture Records. Northern Polish death metal squadron CALM HATCHERY have revealed the cover artwork for their upcoming second album, and first for Selfmadegod Records, Sacrilege Of Humanity! Featuring past and present members of Dead Infection and Tehace, CALM HATCHERY have just completed putting the final touches on Sacrilege Of Humanity. The band signed a worldwide deal with Selfmadegod, and the album shall hit the stores on November 15th 2010. 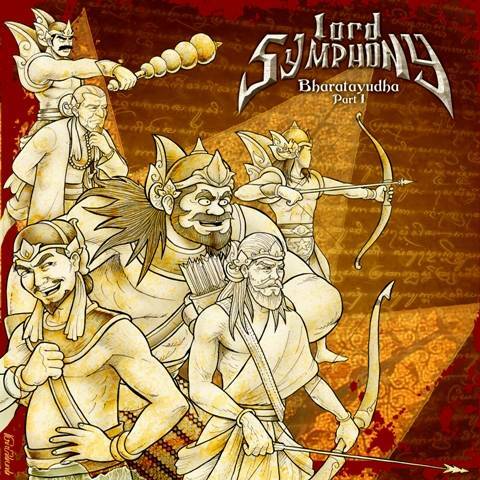 The striking cover artwork was designed by Mentalporn (Deathstars, Behemoth). 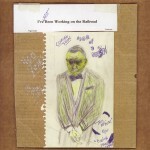 Again, marvelous album cover art! 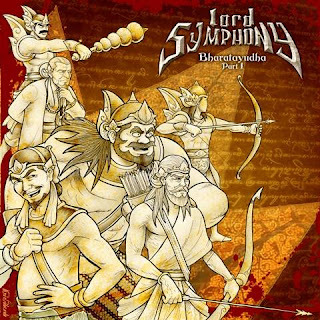 Lord SYMPHONY, epic Power Metal band from Solo, Indonesia, previously one of the opening band for Helloween - Hellishrock Indonesia Tour 2008 has officially announced their new album BHARATAYUDHA PART 1 cover artwork and tracklist. Furnace MFG proudly announces its selection as the official Vinyl Record, CD and DVD manufacturing partner for Record Store Day 2011. 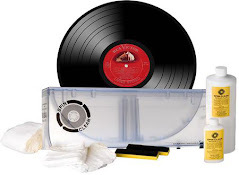 (PRWEB) November 2, 2010 - Furnace MFG proudly announces its selection as the official Vinyl Record, CD and DVD manufacturing partner for Record Store Day 2011. Entering its fourth year, Record Store Day celebrates the unique music culture found in over 1400 independently owned record stores in the USA and around the world. Notable/platinum-selling artists rally for the cause by making in-store appearances and performances and by releasing exclusive/special products for independent retailers. “We selected Furnace MFG as our official manufacturing partner because of their reputation for high quality manufacturing and fast turnaround times,” said Michael Kurtz, co-founder of Record Store Day. Fairfax, VA. The previous Record Store Day featured more than 200 retail-only, special releases. RSD 2011 promises to produce even greater participation. Coinciding with this year's RSD is an exhibit about the grunge band Nirvana at Seattle’s The Experience Music Project. Furnace MFG and RSD make a natural partnership. Furnace specializes in high quality vinyl pressing and also offers CD and DVD manufacturing – all under one roof. Furnace, working with a large and varied group of artists and labels, has the capability and capacity to assure all RSD participants that their products will be on retail shelves in time for RSD 2011: Saturday, April 16th. Furnace MFG (http://www.furnacemfg.com/vinyl), in business since1996, is a recognized leader in CD and DVD duplication, replication, and vinyl record manufacturing and packaging. 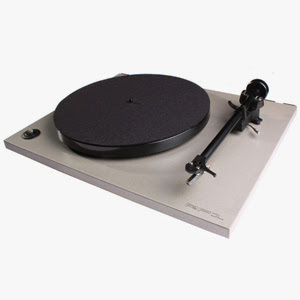 Furnace MFG has over 40 active vinyl record presses offering the most capacity of audiophile quality vinyl in the world. Furnace MFG is also the co-owner of Pallas USA, a partnership with the Pallas Group of Germany, widely known as the world’s finest vinyl pressing facility. Music Monitor Network manages Record Store Day in partnership with the Alliance of Independent Music Stores (AIMS), the Coalition of Independent Music Stores (CIMS) and celebrates the culture of independent record stores by playing host to in-store events/performances, signings and special product releases on a global scale. It takes place this coming year on Saturday, April 16th, 2011.